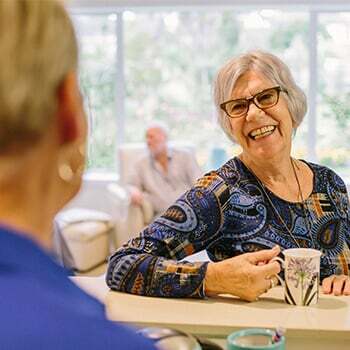 Nellie Melba retirement village is already home to dozens of people, and will be home to many dozens more, but it all started with one couple’s leap of faith. That couple is Max and Heather. 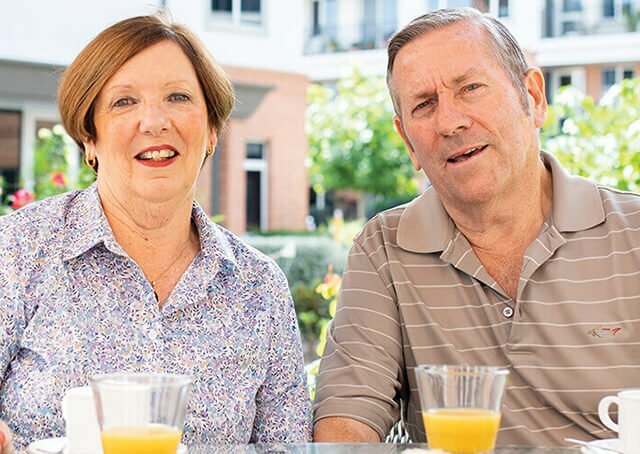 Now happily ensconced in their beautiful two-bedroom corner apartment overlooking the village’s bowling green, Max and Heather were the first people to sign up to move into Nellie Melba. Heather says being the first people to ink a contract was “a bit of a leap of faith”, but one they certainly don’t regret. 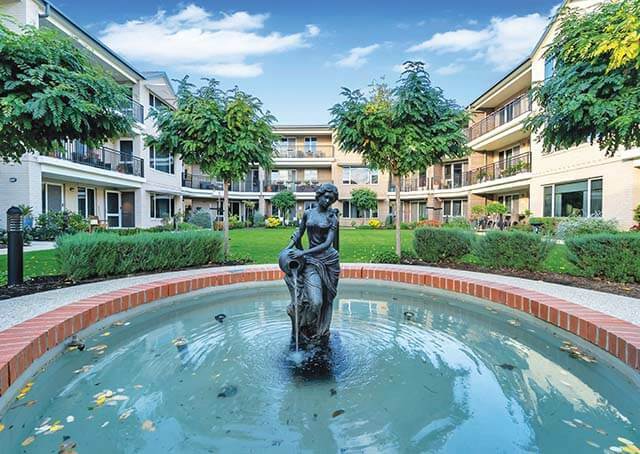 But being at the front of the queue had its benefits, including a greater selection of apartments to choose from. “We had the option to take whatever apartment we liked, and we think we made a good choice,” Max says. 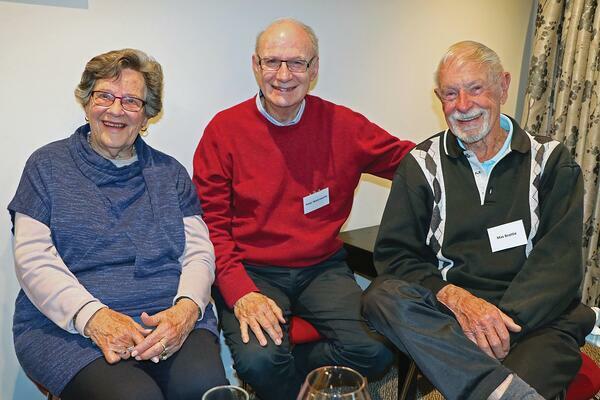 Max enjoys a drink with new Nellie Melba friends Ellen and Peter at one of the village's first Happy Hours. It’s perhaps no surprise that Max, a keen lawn bowler, ended up in apartment just a few steps from the edge of the village’s new green. 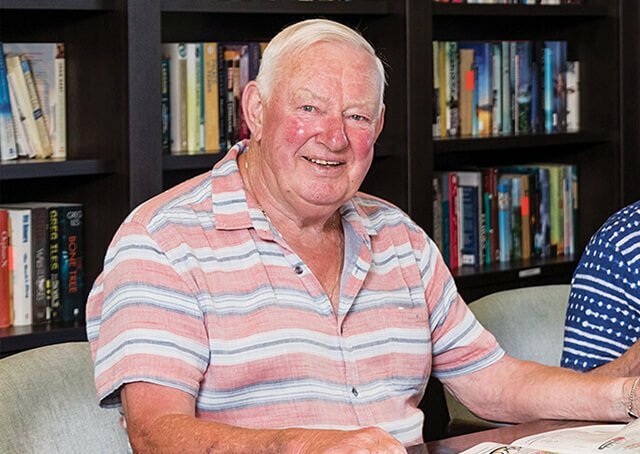 Having aged care available on site if it’s required is another big plus, he says. 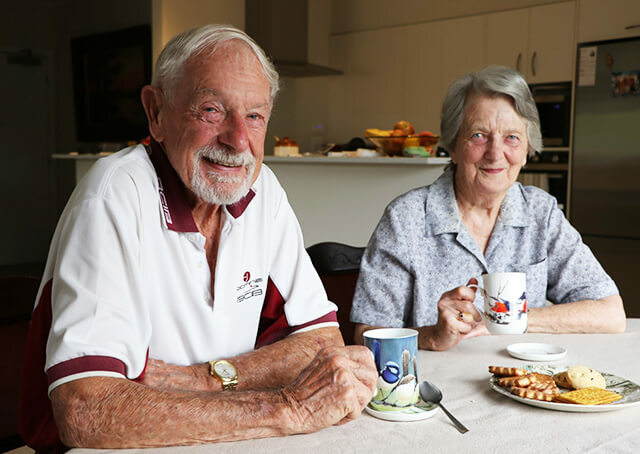 Moving out of the Mt Waverly home they built and lived in for 60 years was a big step, but Max and Heather are looking forward to a new lifestyle at Nellie Melba. 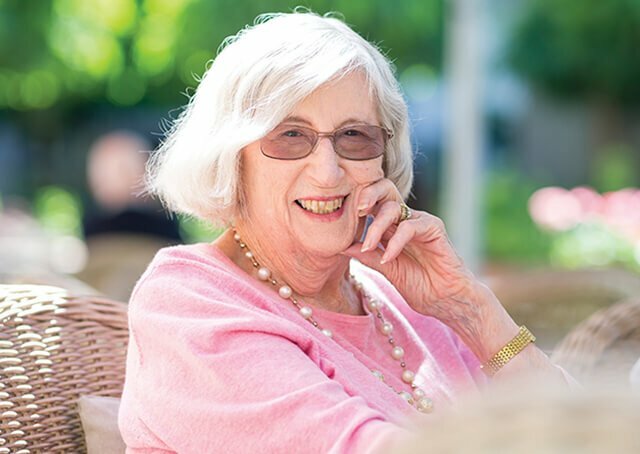 “As we meet our new neighbours they are, virtually to a person, very social and very engaging and it’s something to look forward to, to continue our association with them,” Max says. Attending organised outings, morning and afternoon tea, and happy hours has been a great way to get to know people. “I think, too, that the people who have come into the village, there’s a lot of common connection between their lifestyle and ours,” Max says.